There is an unfortunate stigma associated with receiving mental health services in our society. Perhaps nowhere is this stigma stronger than in the senior community, since the generations that make up this community were some of the first to truly experience mental health care as it is known today – and many of its members still don’t fully understand or embrace it fully. Most people aren’t truly aware of the social stigma associated with mental health concerns until they must face it themselves. 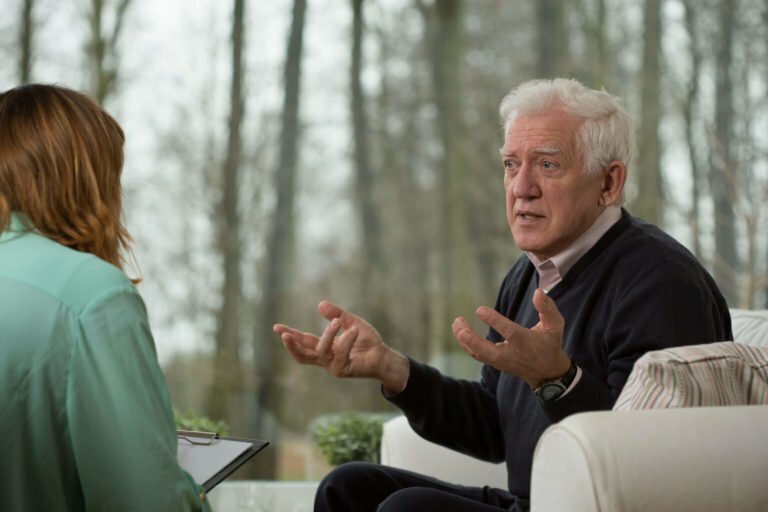 When it comes to seniors, this is especially true; peers, friends, and relatives who may once have been likeminded lose the ability to understand and dialogue with you when they find out that you are struggling with a mental or behavioral condition, leaving many seniors feeling isolated and frustrated. This kind of frustration often leads to seniors avoiding treatment. However, this can only exacerbate the associated health and behavioral concerns. Left untreated, these conditions can cause serious issues for seniors who live alone, leaving them unable to properly care for themselves – and leaving friends or loved ones tasked with their care. To avoid this, many seniors struggling with mental health issues simply remain silent and suffer alone until it’s too late. Another unfortunate effect of mental and behavioral health issues in seniors is that these problems can impact the client’s ability to find adequate housing. Some providers of senior housing care in Phoenix may not allow seniors with certain mental or behavioral disabilities to attend their programs or live in their centers, leaving many of these individuals without somewhere safe and suitable to live. It’s just one more way that mental health problems can be magnified for senior patients, causing problems that might not otherwise be present – and might never be a concern for younger or healthier patients. If you’re looking for mental or behavioral health services in Phoenix, AZ, contact the experts at FSL through our website or call us at (602) 285-1800. The staff of FSL is comprised of compassionate, experienced individuals who truly care about making your life and that of your loved ones better – and ensuring that every senior has safe, supportive housing and care, regardless of mental or physical health conditions.